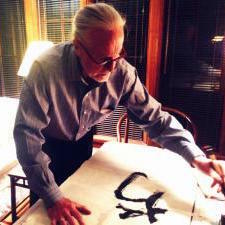 William H. Nienhauser, Jr. is Halls-Bascom Professor of Classical Chinese literature. Having studied in the Far East and Germany, Nienhauser received his Ph.D. from Indiana University in 1973. He has held a number of fellowships (including awards from Woodrow Wilson, ACLS, NEH, Fulbright-Hayes, Japan Foundation, German Research Foundation, and the Alexander von Humboldt Foundation) and taught or held research professorships in China, Germany, Japan and Taiwan. In 2003 he received a lifetime achievement award from the Humboldt Foundation. 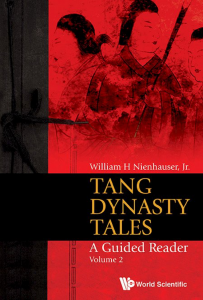 Nienhauser has authored or edited over a dozen books and nearly one hundred articles and reviews including the Indiana Companion to Traditional Chinese Literature, The Grand Scribe’s Records. Vol. 1, 2, 5.1, 7, 8, 9 and 10 (an on-going translation of Sima Qian’s 司馬遷 Shiji 史記), and a collection of essays in Chinese, Zhuanji yu xiaoshuo (Zhonghua, 2007). Nienhauser is a founding editor of Chinese Literature: Essays, Articles, Reviews (CLEAR; since 1979). 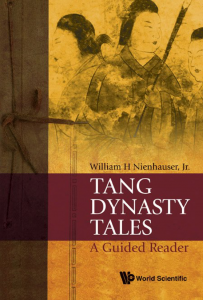 Nienhauser’s current research includes the continued translation of the Shiji as well as projects to annotate and translate the major chuanqi tales and a study of Du Fu’s poetry (joint projects with graduate students). Other interests include the application of modern Western criticism to Chinese literature and New Historicist approaches to early Chinese zhiguai tales. In June 2018 he was made Visiting Professor at Nankai University. Co-author. Liu Tsung-yüan. New York: Twayne, 1973. P’i Jih-hsiu. Boston: Twayne, 1979. Editor and Compiler. 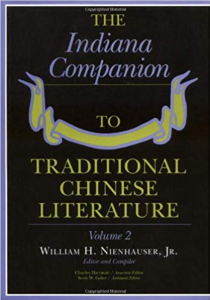 Indiana Companion to Traditional Chinese Literature. Volumes 1 and 2. Bloomington, Indiana: Indiana University Press, 1986 and 1998. Zhuanji yu xiaoshuoTangdai wenxue bijiao lunji 传记与小说 唐代文学比较论集 (Biography and Fiction: A Collection of Comparative Articles on Tang Dynasty Literature). Beijing: Zhonghua Shuju, 2007. Editor and Co-Translator. Tang Tales, A Guided Reader. Volumes 1 and 2. Singapore: World Scientific Publishing, 2010 and 2016. 2011 Wang Mengou Jiaoshou xueshu jiangzuo yanjiang ji 王夢鷗教授學術講座演講集. Taibei: Guoli Zhengzhi Daxue Zhongwenxi 國立政治大學中文系, 2013. Editor and Co-Translator. 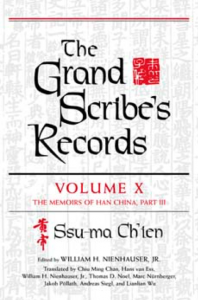 The Grand Scribe’s Records. Volumes 1, 2, 5.1, 7, 8, 9 and 10. Bloomington: Indiana University Press, 1994, 1994, 2002, 2006, 2008, 2010 and 2016. Editor and Co-Translator. 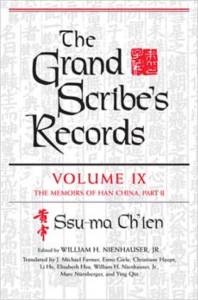 The Grand Scribe’s Records. Volumes 1 and 2. Bloomington and Nanjing: Indiana University Press and Nanjing University Press, 2018. V. 1 is revised, v. 2 republished. A Walk on the Wild Side: A Study of Ye 野 in the Shiji 史記 and Other Early Texts presented at the European Association of Chinese Studies, St. Petersburg, Russia, 26 August 2016. “An Allegorical Reading of Han Yü’s ‘Mao Ying chuan’ (Biography of Fur Point),” Oriens Extremus, 23.2 (December, 1976): 153-174. “A Structural Reading of the Chuan in the Wen-yüan ying-hua,” Journal of Asian Studies, 36.3 (May 1977): 443-456. “The Origins of Chinese Fiction,” Monumenta Serica, 38 (1988-89): 191-219. “Literature as a Source for Traditional History: The Case of Ou-yang Chan,” CLEAR, 12 (1990): 1-14. “A Reexamination of ‘The Biographies of the Reasonable Officials’ in the Records of the Grand Historian,” Early China, 16 (1991): 209-33. “Female Sexuality and Standards of Virtue in T’ang Narratives,” in Eva Hung, ed., Paradoxes of Traditional Chinese Literature. Hong Kong: The Chinese University Press, 1994, pp. 1-20. “Creativity and Storytelling in the Ch’uan-ch’i: Shen Ya-chih’s T’ang Tales,” CLEAR 20 (1998): 31-70. “Zai shuo Jiu Tang shu ‘Li Bo liezhuan, ’” Wenxue yichan 2003.1: 32-6. “A Note on a Textual Problem in the Shih chi and Some Speculations Concerning the Compilation of the Hereditary Houses,” T’oung Pao 89 (2003): 39-58. “Biography of Liu Dajie,” CLEAR 27 (December 2005): 200-13. “Tetrasyllabic Shi Poetry: The Book of Poetry (Shi jing),”in How to Read Chinese Poetry: A Guided Anthology, Zong-qi Cai, ed. New York: Columbia University Press, 2007, pp.15-47. For Want of a Hand: A Note on the ‘Hereditary House of the Jin’and Sima Qian’s ‘Chunqiu,’” Journal of the American Oriental Society 127 (2007): 229-48. “A Third Look at ‘Li Wa zhuan,” T’ang Studies 25 (2008): 91-110. “Sima Qian and the Shiji,” Oxford History of Historical Writing, Volume I: Beginnings to AD 600. Grant Hardy and Andrew Feldherr, eds. Oxford: Oxford University Press, 2009, pp. 463-484. “Qing Feng, Duke Xian of Wey and the Shijing in the Sixth Century B.C. ; Some Preliminary Remarks on the Shi in the Zuo zhuan,” Oriens Extremus 50 (Hamburg, 2012): 75-98. “Traditional Prose.” On line in Oxford Bibliographies in Chinese Studies. Ed. Tim Wright. New York: Oxford University Press, 2012. “Takigawa Kametarō and His Contributions to the Study of the Shiji,” in Views from Within, Views from Beyond: Approaches to the Shiji as an Early Work of Historiography, Hans van Ess, Olga Lomova and. Dorthee Schaab-Hanke, eds. Wiesbaden: Harrassowitz, 2016, pp. 243-262.